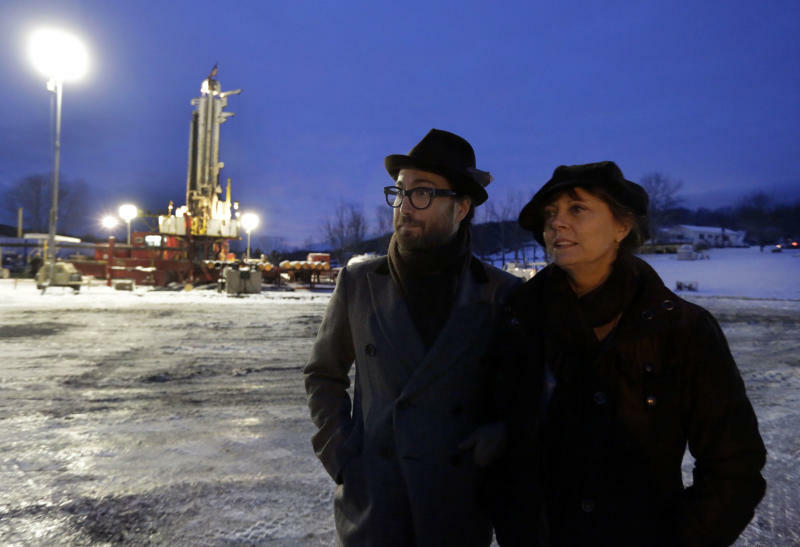 ALBANY, N.Y. (AP) — Dozens of celebrities may be running afoul of the law as they unite under the banner of one group that is seeking to prevent a method of gas drilling in New York state. The group says forcing water and chemicals deep into shale deposits to extract gas threatens drinking water and the environment. The group's website implores, "Tell Governor Cuomo: Don't Frack New York." A week ago, Artists Against Fracking widely released a music video done through Skype from various locations featuring dozens of entertainers singing a Sean Lennon song, "Don't Frack My Mother." In it, Ono sings part of the chorus, "Don't frack me!"